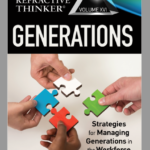 Welcome to the Spring 2015 release of the popular, 13x award-winning academic Refractive Thinker® anthology, marking a new direction for the publication, joining the award winning books in the series as number 11. While previous editions have been curated from a purely academic standpoint, Volume IX continues building on the real world connection by bridging the gap. Academicians identify and address the issues in each chapter and provide an interpretation for application into today’s business world. 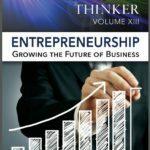 From the theme of “Effective Business Practices in Leadership and Emerging Technologies,” to the foreword by entrepreneurial expert Sabrina Gibson, this volume is a true bridge between scholarship and the business community. 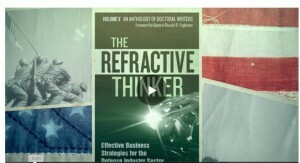 Learn how to apply cutting edge research from doctoral scholars of The Refractive Thinker® Community. How can you get your company to dominate your market in a competitive marketplace? Companies like Zappos, Chic Fil A, and Southwest Airlines have continually grown by differentiating themselves. There are several common denominators. Each have being early adopters of technology, they have listened to their market and delivered more than what was expected and finally they trained their teams to be empowered leaders in every area of the business. Conscious and unconscious bias in hiring is a phenomenon of significant magnitude that manifests when hiring managers and business leadership do not recognize the influence bias has on their choices and how their decision-making can do more harm than good. Because of the harmful impact, business leadership and hiring managers must be aware of conscious and unconscious bias in hiring and use refractive thinking to seek solutions. The literature review provided evidence that a quantitative factorial survey design could produce more equitable hiring decision outcomes with a quantitative scientific data collection design to determine beliefs and judgments about hiring. Combining the use of vignettes with elaborated descriptions to prompt responses and measuring responses through factorial analysis could reveal normative beliefs and provide awareness about complicated social phenomena, such as different types of bias. The experimental vignette method with factorial survey measurement is a research design that is somewhat obscure but is gaining in regard, and is convincingly appropriate for assessment of levels of bias in decision-making. 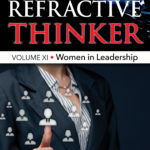 The discussion in this chapter provides the reader with an alternative approach to assessing conscious and unconscious bias in hiring practices when the probability of such bias exists in an organization among professionals responsible for hiring decisions. Systematized judgments could reduce potential for error in hiring practices. The authors provided a suggested factorial design study with specific vignettes for consideration as a useful strategy for selecting appropriate candidates. Becoming aware of unconscious bias and subscribing to linear models, such as the use of the factorial survey approach, could deter hiring decisions that do not maximize diversity in the workplace. Shared governance is a topic of conversation, discussion, and debate in colleges of nursing. Despite historic significance, a universal definition of shared governance remained elusive. The purpose of this chapter was to explore the concept of shared governance in universities, with an emphasis on colleges of nursing. A goal of this chapter was to investigate the relevance and value of shared governance. Another goal of this chapter was to explore a universal definition of shared governance applicable to universities and colleges of nursing. The information obtained provide support that a universal definition is not necessary, but a new way of defining shared governance would be helpful to constituents of colleges of nursing. Approximately 40 to 60% of doctoral students do not graduate (Cochran, Campbell, Baker, & Leeds, 2014, p. 29), validating that retention, graduation, and persistence in higher education remain topics of interest within academia (Linden, Ohlin, & Brodin, 2013). 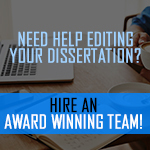 College and university administrators continue to search for methods and processes to better support students during doctoral programs, including improved mentoring techniques designed to facilitate successful and accelerated program completion (Brill, Balcanoff, Gogarty, Land, & Turner, 2014). 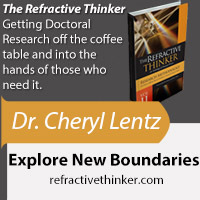 This chapter includes an overview of our team’s collective doctoral experience through the overarching lens of mentorship, while bringing forth the various developmental improvements and emerging technologies related to four doctoral research studies. The research incorporates foci related to the nursing, pharmaceutical, public benefit flying, and aerospace industries. Business process improvements manifested in emerging new technologies, facilitated by a strong mentor/mentee relationship. The mentorship model emerging from our team incorporated new processes and methodologies designed to improve communication, engagement, motivation, and progress. This partnership evolved to facilitate accelerated program completion, along with the formation and development of meaningful research leading to new and emerging technologies in the business realm. A sound mentoring relationship proved to be a primary catalyst of our team's successful doctoral program experience. 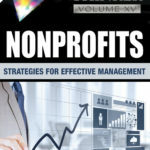 This chapter includes information regarding collaborative leadership, systems thinking, information technology, organizational learning, and models that can be applied to further organizational leadership and drive revenues. The components of Senge’s (1990) model, personal mastery, mental models, building shared vision, team learning, and systems thinking compare to leadership methods within changing technology environments. Leaders of a learning organization must encourage new ideas, for which a 10-step from Kinle and Sanders to becoming a learning organization is presented. Organizational change is unavoidable, and these concepts and tools will help transformational leaders become change agents in their organizations. The world is changing fast, e-learning is exploding, and emerging technologies are abundant (Diamandis & Kotler, 2012; Sclater, 2010). What are emerging technologies one day is the norm the next (Doherty, 1993). Educators and facilitators need to prepare learners and business leaders to embrace emerging technologies and encourage students to use them. This chapter is about three emerging technologies (Prezi, Animoto, & Digital Storytelling) used in presentation’s. Business leaders of the future must understand the importance of new technologies, how to use emerging technologies as effective business strategies, and the value emerging technologies can provide businesses. Organizations must continue to manage change to remain competitive in the marketplace. As organizations implement new ideas and innovations, leaders should understand how to manage the change to achieve organizational success. Changes occur within the entire gamut of business -- external customers, supply chain, organizational culture, and new technologies vital to the firm’s success. 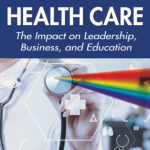 This chapter examines transformational and transactional leadership and the various decision-making approaches used by each leadership style in adopting new ideas and innovations. Each leadership style is distinct in its use and how the leader may manage the change and approach the adoption of innovation. Using Rogers' (2003) Diffusion of Innovation Theory, the authors connect the leadership approaches with the adoption phases of implementing a new idea or innovation. Some of the factors that drive this adoption are knowledge of the innovation, communication within the organization, the amount of time for implementation and adoption, and finally the organizational culture. As the leader identifies these areas, they can then effectively implement the innovation according to their leadership approach in connection with Rogers' (2003) Diffusion of Innovation Theory. This study was framed by Cummings’ (1984) theoretical model for understanding transorganizational systems (TS) (networked organizations of organizations) and the later integrative transorganizational development (TD) model consisting of four-phases for developing a TS—identification, convention, organization and evaluation (Cummings & Worley, 2005). The main research question was what are the factors that contribute to the development, implementation, and evaluation of an organization of organizations for building community capacity (Batchelor, 2011)? The study was further framed by a Large Group Intervention (LGI) method, a modified version of a Whole-Scale™ Change (Dannemiller & Jacobs, 1992; Dannemiller Tyson Associates, 2000). The modified Whole-Scale™ Change approach served as a framework within the larger TD framework for the purpose of specifically addressing how to facilitate the group process throughout the four phases of TD (Cummings & Worley, 2005). Lastly, the study was framed by Flora, Flora, & Fey’s (2004) Community Capitals Framework (CCF) to identify the collective resources or capital assets invested by a community (Flora, Emery, Fey, & Bregendahl, 2005) for the purpose of evaluating how effectively a networked organization of organizations is building community capacity. The purpose of this writing was to examine the concept of doing more with less while sustaining business growth. Collaborative Innovative Leadership is a new leadership model, which is born of necessity as new technologies enable collaborative business processes to forge a novel generation of creative business leaders. 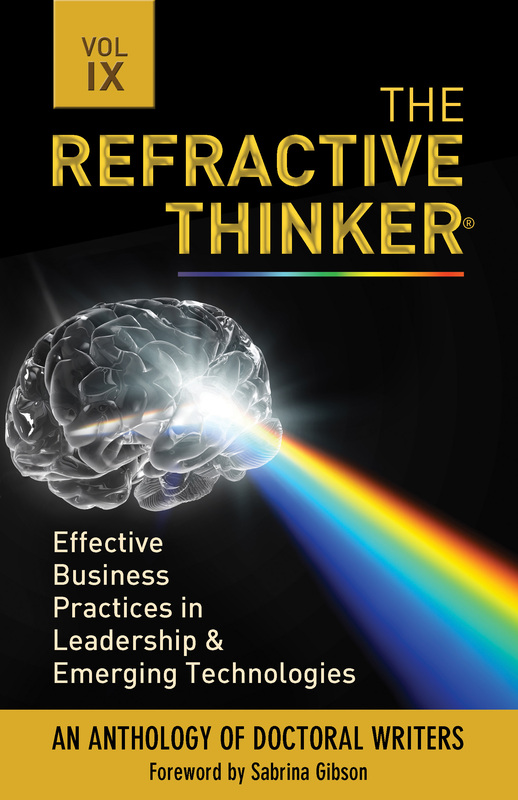 This chapter provides a refractive perspective at the collaborative nature of the business world. In addition, the researchers examine the evolution of Collaborative Innovative Leadership that has emerged through the growth of social media technologies. This research highlights the fusion and transformative power of 21st century innovation processes. We live in an era of unparalleled affluence and global economic prosperity for many and yet we have more poor and uneducated people on earth than at any time in the history of the world. Currently, we have over a billion children living in poverty. This seems shocking to those who that have benefitted from advances in education and economic prosperity. The purpose of this paper is to examine what we know about leadership, and how we use it to improve the quality of life issues for the inhabitants of the world. We will take a look at why leadership is not moving the needle in terms of quality of life issues on a universal scale. We will take a look at some of the social, educational and political issues that dilute our ability to develop and empower leaders that can make a difference. We know more about leadership than at any time in the history of the world, and yet every facet of our society has horror stories about bad leaders. In the sporting world, we use to looked up to legends such as Lance Armstrong, Alex Rodriguez, and Barry Bonds. In the business, we have seen some of our biggest companies crushed by scandal and mismanagement such as Enron, General Motors, and CITI Bank. In the government, we have significant State and Local fraud associated with Hurricane Katrina, a myriad of cases involving drugs and undocumented workers on the Southwest Borders and foreign bribery in the military and law enforcement products industry. This paper will examine how we educate and develop leaders in an effort to improve the quality of leadership in the world today. It is the premise of this paper by developing better leaders we will do a better job of providing social, cultural and economic services to those who need them most in our society and our world.